If you’ve researched anything about Android on the internet, you’ve probably seen and read about “rooting” it. There was a time when many of the Android phones available didn’t live up to their potential, and root was the answer. Horrible software was the norm, applications that you would never use ran amok and wasted data and battery life, and the experience was bad all around. Because every Android phone is running the Linux kernel and middleware very similar to a Linux distribution you would install on a computer under the hood, rooting them was the way to allow us to try and fix them our own way. Rooting is how you get complete access to everything in the operating system, and those permissions allow you to change it all. Modern Androids are quite a bit better than they used to be. Even the most inexpensive phone or tablet you can buy in 2019 will do more and perform better than the best Android phone available just a few years ago. But many of us still want to root our phones and are looking for more information. When you root your Android, you’re simply adding a standard Linux function that was removed. Root, at least the way we’re talking about it here, is the superuser. Your Android phone uses Linux permissions and file-system ownership. You are a user when you sign in, and you are allowed to do certain things based on your user permissions. Apps you install are also given a type of user ID, and they all have permissions to do certain things — you see those when you install them on older versions of Android, or you are prompted to allow them on Marshmallow or higher — in certain folders with certain files. Root is also a user. The difference is the root user (superuser) has permissions to do anything to any file anywhere in the system. This includes things we want to do, like uninstall application forced on us, or things we don’t want to do that can put your Android in an unusable state. When you’re doing things with superuser permissions, you have the power to do anything. Most people want root to get rid of the bloat. Before you do any preparation to root your phone, you need to remember that it changes everything about the inherent security from Google and the company that built it. Plenty of us don’t like it, but being able to access an account with admin permissions was not included in release versions of Android on purpose. As soon as you add this capability, you are responsible for the security and integrity of the operating system and every application on it. For some, this is more responsibility than they want or need. Rooting isn’t the answer for everyone. If you’re not sure about the ways you can break things by doing them as root, you should learn more about it before you start. It’s OK to not know things and to try and learn, but not knowing and doing them anyway can turn a very expensive Android into a paperweight. You also need to know that for many Android models, rooting means your warranty is null and void. Services (including apps as well as network access from your carrier) can be denied to you because of the security risk when you’re rooted. The risk is real, because so many users go into it all blind and let security lapse. Not doing that is your responsibility — take it seriously! You’ll need to do a few things to prepare your phone for rooting, depending on which method you use. Many of the ways require you install the Android SDK or unlock your bootloader. This sounds like a lot of scary work, but it’s not difficult and knowing how to use these tools will help if things go wrong. The Android SDK is huge, and if you’re just rooting your phone, you don’t want to waste bandwidth or file space on it. XDA user shimp208 built Minimal ADB and Fastboot, a Windows tool that only contains the ADB and Fastboot components needed for rooting. Depending on which phone you have, unlocking the bootloader is slightly different. The “standard” way is by using the OEM unlock command, which is outlined here. If you’re using a Motorola, HTC, Sony, or LG phone you’ll be able to get an “official” cryptographic token to unlock your bootloader. You’ll find how to do that and who to get it from at each vendors developer pages in the links below. Remember that unlocking the bootloader on your Android may affect the warranty status. 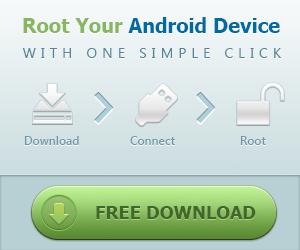 Using commercial rooting apps like Kingo Root or One Click Root is straightforward, and can be done with or without a computer. While these apps can’t root every phone, the people who make them are doing as best they can to keep them current. You can use Kingo Root with or without a computer. You’ll find the download for both methods at the Kingo Root page — just select the one you want to use. If you’re using a windows computer with Kingo Root, you’ll need to have the correct USB drivers installed on the computer you’re using. If you don’t have these, the Kingo Root program will try to locate and install the correct ones during the process. Simply plug your phone into the computer and start the application. It’s as simple as letting the software set things up, then you click the button labeled “root” in the software. As long as your phone is supported, the rest is automatic. You’ll see a list of recommended root application to install after the procedure is finished, but if the program says it was successful your phone should have the superuser unlocked. It’s easier to try and use the Kingo Root app on your phone to root. After you’ve downloaded it (and allowed sideloading of apps) you charge your phone to at least 50% and run the app. There’s only one button to press, and after you tap it the rest is automatic. If the stand-alone version isn’t successful, the computer version might be. Full instructions and tutorials for supported phones can be found at the Kingo Root support page. How you root your Android is going to depend on which one you have. There are over 12,000 different Android models (and that’s only counting ones that can access Google Play) from hundreds of different manufacturers. Almost all of them have been designed so that they are hard to root. That’s because if it is is easy for you to root your phone when you want extra access, it may also be easy for someone else to root your phone and get the same access — which means they would have all of your important private data. There are models specifically hardened to prevent unauthorized access (that means rooting, too) like the BlackBerry KEY2 as well as devices that were designed to be safely and easily unlocked for full developer access like the Google Pixel 3. Most phones fall somewhere in between, and when carriers get involved they have control over the process, too. Samsung also makes very lucrative deals with carriers, and most of the time those carriers want to prevent you from rooting your phone. Recent models from AT&T or Verizon are notoriously difficult to exploit, and all the U.S. versions of the Galaxy S9 are locked up and encrypted. There might not ever be a way to root them. This isn’t true for unlocked models sold outside of North America though. Knox can pose special problems when trying to root. For more information about rooting Samsung phones, the best advice we have is to check XDA Forums for your particular model. XDA Forums are a group of people, including some from the mobile industry, who are dedicated to the good sort of hacking of mobile devices. It’s one of the best places on the internet to learn about things like rooting your phone, and it’s the first place I check when I have any questions, too! LG phones have several different methods to install the files needed for rooting. Some, mostly international models, are completely bootloader unlockable and it’s trivial to push the files through a custom recovery, while some are locked up tighter and require some special tricks. As we see with Samsung phones, carriers have a lot of influence here, so most new LG phones sold in the US are difficult to root. In the past, phones like the LG G6 were trivial to root even if you tried on a carrier-branded model. Those days are gone and now the process may be risky. As with Samsung phones, the best thing you can do is to check the XDA forums for your model. Huawei doesn’t sell very many phones in North America, but the company is one of the largest smartphone manufacturers in the world and offers some really great products like the Mate 20 Pro, one of the best phones you can buy. The company used to allow bootloader unlocking of their phones through an official program, but that was suspended in May 2018 because it felt that a better user experience could be provided and wanted to avoid issues for customers that flashed unauthorized software. It’s still possible to unlock the bootloader and root Huawei phones, thanks to a third-party service called FunkyHuawei. Don’t let the lighthearted name fool you, the group behind the effort has proven to be successful and reliable when unlocking and rooting almost every model. It’s not free, and depending on the service you’re looking for it can cost upwards of $60. You can even buy brand new unlocked and rooted phones through the website. If you have a Huawei phone and want to root it, FunkyHuawei is the best place to start. OnePlus has always been one of the more developer-friendly manufacturers, and all of the company’s phones except the T-Mobile branded OnePlus 6T can be rooted exactly the same way a Pixel phone can be — by unlocking the bootloader through the standard Android commands and transferring the correct files to the phone itself. While carrier influence may make the T-Mobile OnePlus 6T an outlier, nothing has changed for the company’s latest version. You’ll find a full tutorial for unlocking and rooting your OnePlus phone at XDA Developers. To root the T-Mobile branded OnePlus 6T, you’ll need to convert it to the standard model’s firmware. XDA Forums also has a full tutorial for you to follow. Motorola also offers a liberal bootloader unlocking policy for some models, which you’ll find at their developer site. Using the standard Android SDK tools, you can unlock your bootloader so that a custom recovery image can be flash. This allows you to flash any other system image to your phone. If your Motorola phone isn’t covered under their bootloader unlocking policy (see the list here) you might have to resort to exploits or use commercial rooting apps. The best to try are MOFOROOT and OneClickRoot. To root your Pixel phone, you should start with learning how to install and configure the Android SDK. There are plenty of one-click scripts or toolboxes that will unlock your bootloader and get you ready to flash (or even flash it for you) a custom recovery, but there’s a great reason to learn how to do it yourself — you are able to fix most anything if it goes wrong by using the Factory Images. Once a third-party recovery image is flashed, you’re easily able to transfer the files you need to root to your phone. We highly recommend a Pixel phone to anyone who wants to tinker with the Android software platform, and you can do so by following our extensive guide. Some of these phones come with a method (either approved by the manufacturer or found by a third-party) to unlock the bootloader and use the custom recovery method to root them. Many of these other phones can be rooted with applications like Kingo Root, with or without access to a computer. Phones from names you know, like Sony or Huawei, are supported as well as phones from companies you might not have heard of like Vivo or Phicomm. You’ll find a partial list of supported phones here. Commercial root apps work, but check out the pros and cons before you use them. Apps like Kingo Root and One Click Root work because they take advantage of an exploit (a bug or glitch) in the software. This means that many security applications will identify them as a virus, and that software updates can (and do) break compatibility with them. Not every phone can be rooted through an app that leverages an exploit, but many can. It’s certainly worth a look to see if your particular phone is supported. These services are profitable, and profitability means time and money is spent to keep them current and working on as many models as possible. Here’s where we will discuss the ethics of companies like Kingo Root. It’s good to question the methods and motives behind any company that wants access to potentially sensitive information, and a healthy dose of skepticism is a good thing. A lot of folks feel that these kinds of apps are unsafe or follow unsafe practices, and they may be correct. On the other hand, plenty of people have used the apps and services and are completely happy with the results. We can’t speak on it either way, as we’re not involved in the creation or testing of any of these apps. Our job is to inform you that they exist, and let you know that there is always a bit of inevitable controversy surrounding them. Updated January 2019: This article was completely rewritten to showcase all of the latest root guides and apps. Best Xiaomi products you can buy in the U.S.